Probably everyone who is aware of complementary therapies will know something about Chakras, or at least have heard the word. What they may not know is just how much is going on in respect of using the concept of Chakras as a way of understanding human growth and development. * We know that various Chakra charts and books tell us of the associations relating to the seven major chakra centres that run along the spine, such as crystals, sounds, colours, essential oils, and these are all very interesting and helpful. However, the Chakras also give us a way into understanding psychological and spiritual stages of development. Here are seven good reasons for us to learn about each of our seven Chakras. Reason number one: when we explore the Root Chakra we can connect with early gestation and the first months and years of life. How we experience early bonding underpins a challenge to feel materially secure and grounded. We can help heal this through various ways of reconnecting with the physical body. Reason number two: when we reach into the Sacral Chakra we connect with how we began to develop as an individual as a small child. During these first years we are likely to experience love and support as we grow, but we may also experience psychological woundedness, such as physical or sexual abuse. Working with this inner little child and learning how to establish appropriate boundaries and experience true pleasure are important aspects of self healing here. Reason number three: when we connect with the Solar Plexus Chakra we are concerned with issues of self esteem, personal power and belonging. We have entered the first part of our school years and how successful our socialisation has been will affect how we manage in later life. Here we can learn how to build a strong sense of autonomy and regulate powerful emotions, such as anger and anxiety. Reason number four: at the Heart Chakra we learn how to give and receive love. We are growing into puberty & early adolescence and are learning to form deep relationships and develop integrity and conscience. If there were traumas such as rejection or constant criticism in our upbringing during these years we may need help with releasing grief, learning to accept ourselves just as we are, and learning what really goes into making healthy relationships. Reason number five: here we are at the Throat Chakra with issues of communication and language – how successfully do we express ourselves? At this stage of our growth we are concerned with expressing ourselves and speaking our own truth. Maybe there were secrets in your family? There are many ways we can help ourselves to express more effectively such as writing, singing, learning communication skills, and becoming more aware of how we talk to ourselves on the inside. Effective communication is a key factor in having a happy life. Reasons number six: At the Brow Chakra (the Third Eye) we are focussed on the mind – is it our master or servant? As we grow into adulthood we need to ask ourselves how well do we think? How intuitive and psychic are we? Are we able to self reflect? Maybe your psychic abilities have been disregarded or even mocked? This Chakra can be helped through working with dreams and creative visualisations, as well as with learning how to balance the intuitive and analytical parts of the brain. Reason number seven: At the Crown Chakra we ask ourselves just how strong & healthy is our spiritual connection. At maturity we are likely to be seeking fulfilment, which will include being of service. We may have experienced rigid religious conditioning. To help ourselves here we may need to re-examine our belief systems and be open to connecting with a higher power. *Important writers whose work on Chakras we look at in my Chakra Psychology courses are Caroline Myss, Anodea Judith, Dr. Brenda Davies, Ruth White, Ambika Wauters, and Barbara Ann Brennan. She is a group facilitator & therapist, teacher, channel and published author. 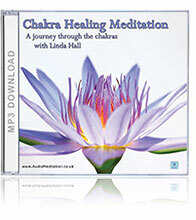 Delcia runs Chakra Psychology courses (validated by the Association for Therapeutic Healers) for meditators, bodywork therapists, healers, counsellors, Alexander Technique teachers, psychotherapists, yoga teachers, those on a spiritual, personal growth path.